That's right folks! Your wishes are granted and we will be performing an original live show at DragonCon this year. We want to thank the folks at ARTC for giving a slot of Friday night to perform Harry Strange in The Metamorphs. More details will follow. 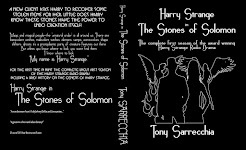 Follow this link to the invitation on the Harry Strange Radio Drama Facebook Page.